Are you thinking to pursue a career in law? You might be searching for a list of some of the Best Law Colleges in India. 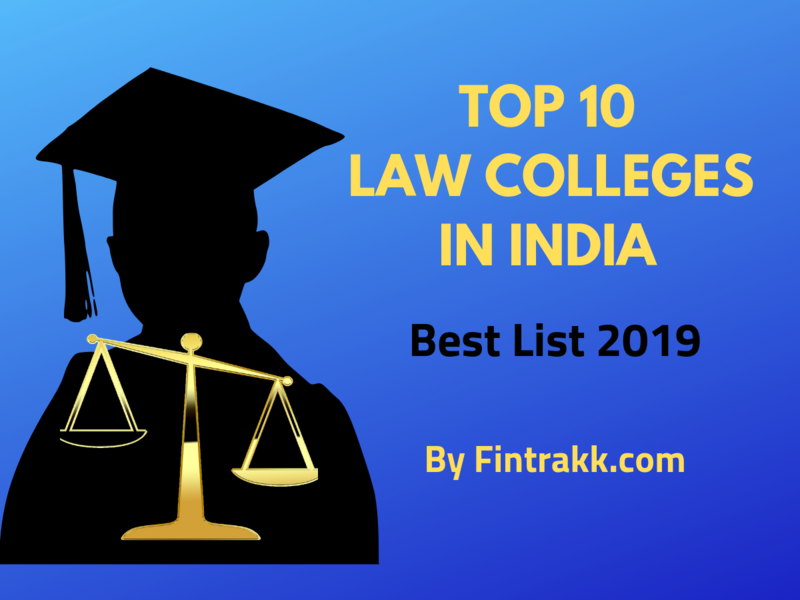 So, here we have compiled for you an exclusive list of Top 10 Law Colleges in India and some other best law colleges for you to checkout. After reading through, you shall become aware of some of the popular colleges/universities names in the Law field. The legal profession is one of the common career choices that students opt for once they complete their higher secondary schooling. In the earlier times, the law profession was also considered as a family profession i.e. the law profession was carried on from generations to generations. A lawyer father wished his children to pursue the same profession. Isn’t it! So,the career in law has been a popular choice not only today but since decades. However, in the present scenario, if you have the interest and passion to build a successful career in the law field, you can opt for this profession even if you don’t have such a professional background. Students are normally confused whether to opt for Accounting, Law or Management courses like MBA. Think deeply, analyse and take a wise decision for yourself to build a successful future. While opting for the law field your primary intention should be to consider Law as an instrument to seek justice for people and not merely to earn money. No doubt, earning money and fame play a pivotal role and are the important goals that one wants to achieve in future. But, shaping one’s career with a positive attitude, hard work and sincerity should also have an equal importance. A 3 year LLB Program: If you wish to join the program after graduation. A 5 year Integrated BA LLB Course: If you have qualified 10+2/higher secondary school examination/intermediate examination or equivalent. Looking at the tough competition these days, finding a place for yourself in one of the Top Colleges is a dream come true for students. Although, it’s great if you can grab an opportunity and get seated in any of the Top 10 Law Colleges in India. But, no need to worry even if you miss out to be a part of them. The admission into different law colleges in India is based on the scores or rank secured in various law entrance exams. These exams may be conducted at the national level, state level or certain institute specific entrance exams. Common Law Admission Test or CLAT: It is the National Level Law Entrance exam conducted to secure a seat in the National Law Universities. These are not in any sequential order. Just a random list to help you know about some big names, if you wish to pursue a career in the law field. We have also specified The National Universities that consider CLAT as the basis of admission. We have tried to cover some of the most common names that qualify in the list of Best Law Colleges In India. There might be some others as well. If you have the zeal to do something different, you can checkout our detailed post : Best Courses after 12th: Creative Career Options to look for! Deciding the right career for yourself is a crucial decision that needs to be taken wisely. The career in law can give you a rewarding and enriching experience provided you do your work sincerely and passionately. You shall learn to think logically and present your valid points rationally throughout your law career. You can build a name and fame for yourself and mark your presence in various law firms, law agencies or corporate houses etc. However, your success is based on different factors like your attitude, case handling, reputation that you build and above all the expertise that you gain over the years. Did we cover up all the popular and top law colleges in India in our compliation? Do you wish to add any name in the list of Best Law Colleges in India or any opinions thereon? Do share the same in the comment section below. Your valuable feedback shall be much appreciated. Is there a college of law in Gwalior? Please guide. If we get less marks in 12th standard and good marks in CLAT can we get seat in colleges. I think your CLAT marks matter the most. Is CLAT exam is important to join law colleges or we can join directly? Please guide. No, You can give other law entrance exams also. What should be the important traits to be engaged in law? Please guide. What should be the traits that are required to become a successful lawyer ?